Hanwag's Special Forces set themselves apart from all other combat boots; their quality stands out from the moment you first lace them up. Compared to a Lowa Patrol or Mountain GTX, the cosmetic similarities are striking; you'd be hard pushed to tell them apart at a glance. Our confidence in the Hanwag is reinforced by a simple test - we ask our customers to try on a Lowa and then the Special Forces. Unless the customer has especially wide feet, the Hanwag wins almost every time. It's when you look closely at the Special Forces that you really appreciate the differences - Hanwag really do pay attention to detail. The forefoot lacing eyelets are all equipped with ball bearings; these ensure that the lace tensions easily and consistently. The laces avoid snags and allow the wearer to get the lacing exactly right. 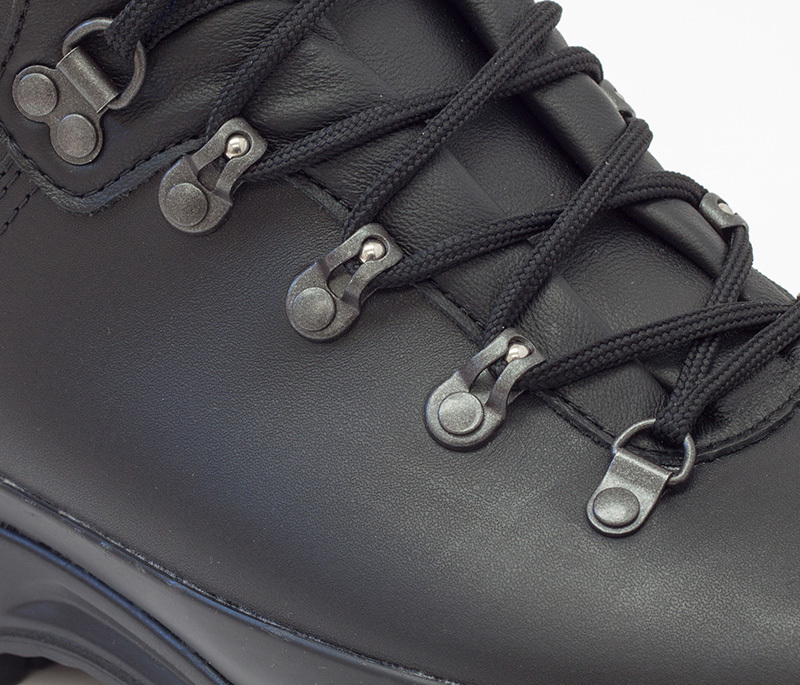 The Special Forces LX's soft leather lining is a feature that we've not seen on any boot other than the Hanwag. The Alt-Berg Warrior has some around the ankle cuff, but the Hanwags go even further - it allows the foot to slide in quickly and easily; no fabric to grab and bunch your socks and won't absorb stupid amounts of water should you get them wet. If water does get into the boot, then simply pull out the footbed and allow them to dry overnight. For more efficient drying, shove them full of newspaper and remove it after a couple of hours. The Special Forces GTX differs only from the LX in that the soft leather lining has been replaced by a Gore-Tex waterproof laminate with a wear-resistant cambrelle liner. 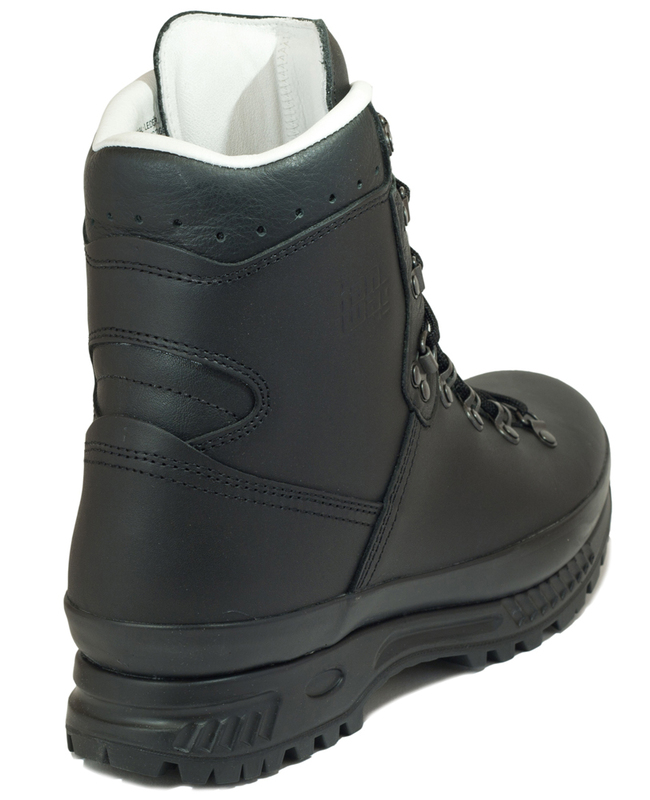 In most conditions, any full-grain stitched leather boot will keep water from penetrating to the inner as long as the seams are waxed, but if you're not able to keep the boots treated or expecting to be using the boots in consistently wet environments, then the extra protection offered by the Hanwag Special Forces GTX is worth the extra cost. 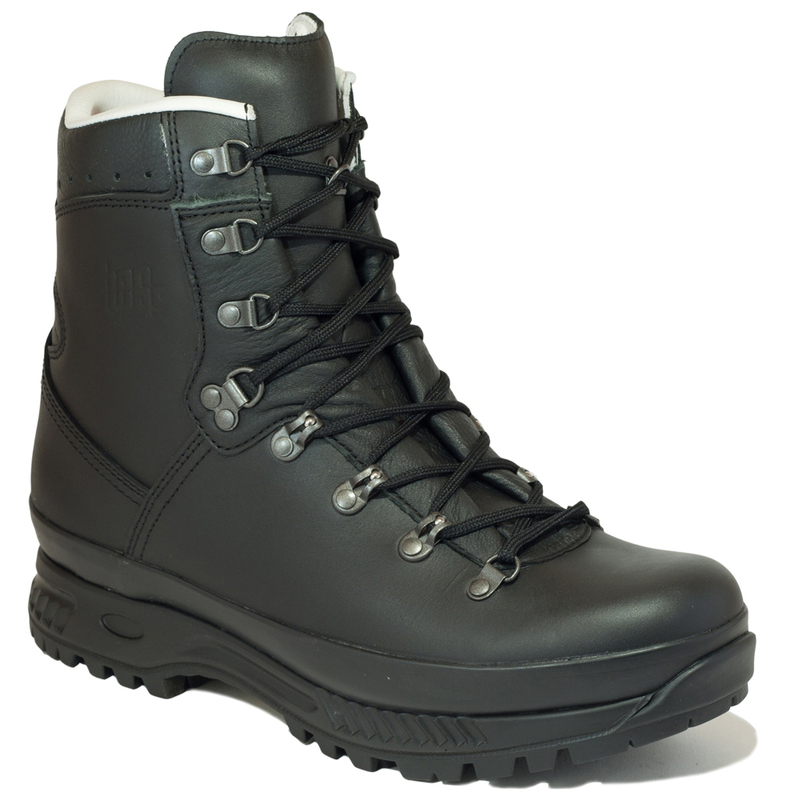 No other full grain leather boot offers the instant out-of-the-box comfort of the Hanwag Special Forces; they're well capable of handling a 20-miler without being broken in beforehand. They only get better as time goes on, especially if you treat the leather correctly. These are boots that we'd be happy to put through a punishing tab across any terrain - hard or soft, wet or dry. Highly recommended.